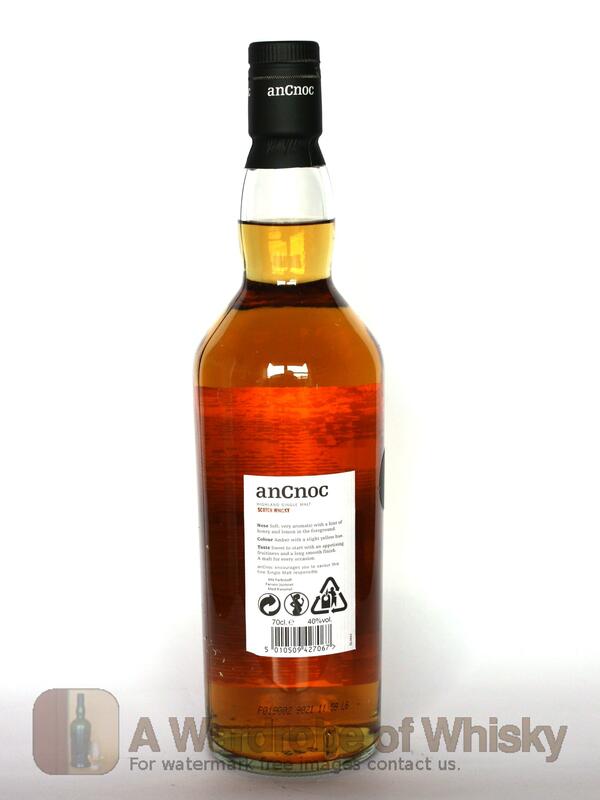 An Cnoc (formerly Knockdhu) is a top-quality proponent of the non-sherried Speyside style, showing polished malt and a delicious spiciness throughout a warm, complex palate and lasting finish. 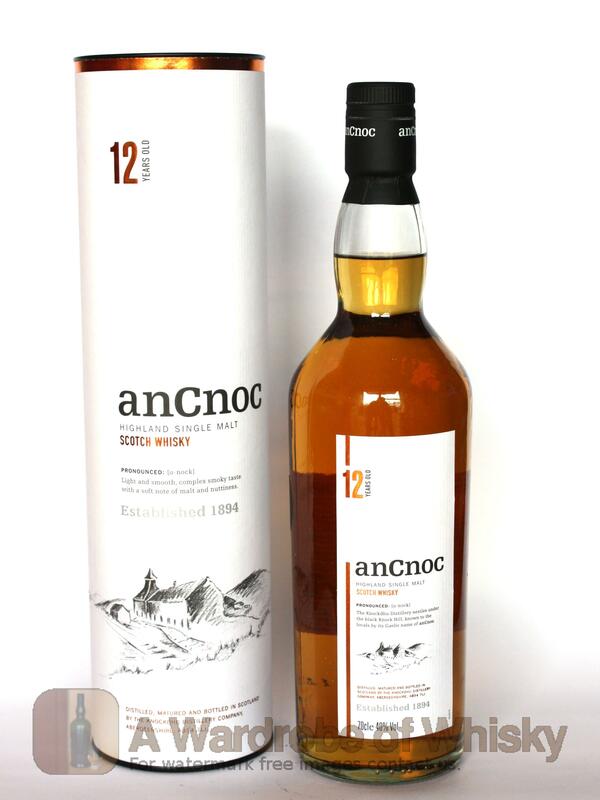 This Speyside single malt whisky is deliciously malty. It is a whisky that achieve greatness without ambition. Really lovely. Nose (89): more than average. honey, malt, vanilla, pears, citrus. Quite good, like whisky should smell. Taste (90): smooth, powerful. honey, barley, citrus, vanilla, pepper, spices, cherries. 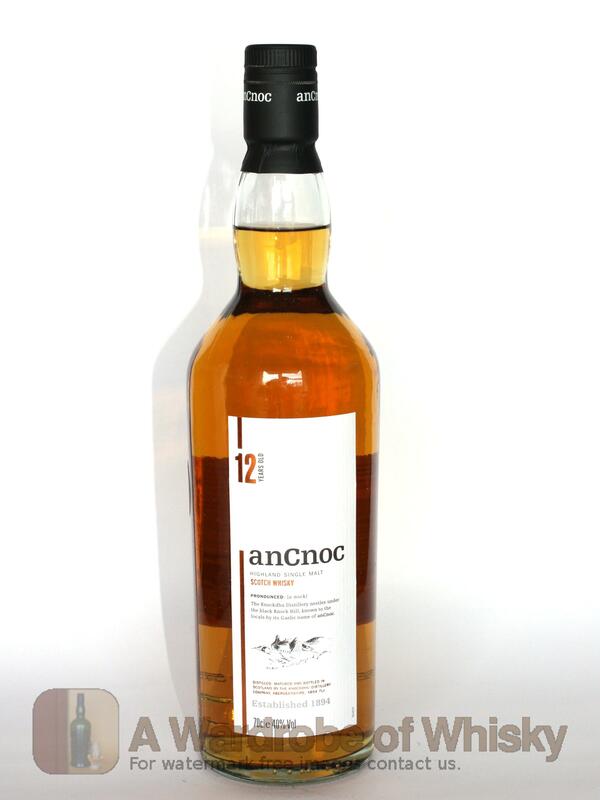 These bottles have been chosen over others because their nose, taste and finish are more similar to anCnoc 12 year than the rest. Go to Whisky-o-matic page to fine tuning other settings.